India needs to address current water management issues or face future catastrophe. Poor policies have left India in one of the worst positions in the world when it comes to water stress, Asit K Biswas and Cecilia Tortajada write. For the preparation of the annual Global Risks Report 2016, the World Economic Forum asked 750 experts from all over the world what the likely global risks are, in terms of potential impacts and likelihood, over a 10-year period. The experts had to assess 29 separate global risks in terms of their importance. Failure of climate mitigation was identified as the current global risk of highest concern, and water crises was the third most pressing problem. 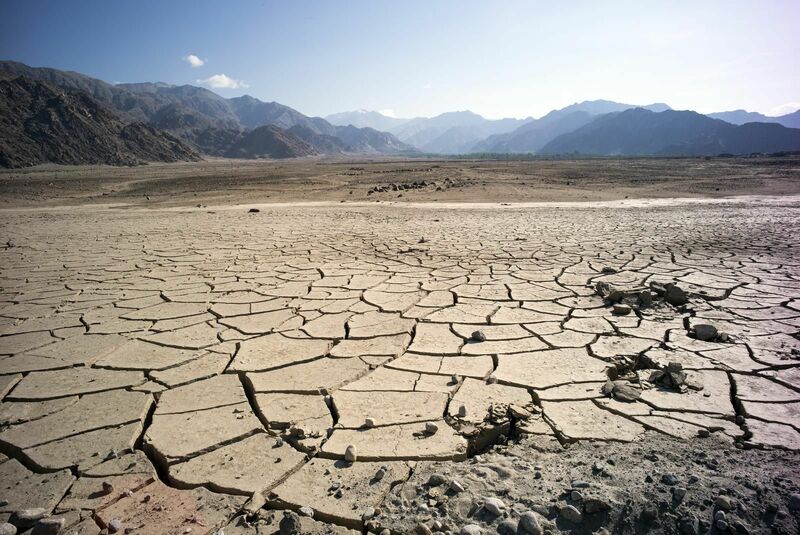 Climate change affects the world primarily in terms of water, through both flood and drought. When taking into account the potential impacts over the next 10 years, nearly 40 per cent of the experts selected water crises, compared to some 37 per cent opting for climate change. India is no exception to this global trend. Signs of water stresses are all over the country, both in terms of availability and quality. The situation in India is worse than in many other countries due to decades of poor policies and practices. Sustained interest in water issues by senior policymakers has been conspicuous by its absence – Indian politicians are only interested in water when there are serious droughts and floods. As soon as these are over, their interest simply disappears. India needs water to meet its current needs, and also for 2050 when its population is predicted to increase by another 450 million, nearly one-third more than at present. All these additional people will need food, energy, industrial and economic development, proper health, education facilities and a good environment to enjoy a good quality of life, and meeting their needs will require increasingly more water. In addition, because of rapid urbanisation and the information and communication revolution, Indians’ expectations for progressively improved standards of living are increasing – they are much higher now than in 2010, and are likely to be significantly higher again in 2030. To satisfy these expectations, the present generation will require even more water in the future, unless water management practices are very significantly improved. If India continues with unsatisfactory and unsustainable water management policies, like free or highly subsidised domestic water supply, and poor operation and management practices of all water infrastructure, there is no doubt that within the next 10-20 years many parts of the country will face serious water crises. Business-as-usual is no longer an option. Yet, India’s water situation need not to be so dire. Unlike oil, gas and all minerals, water is a renewable resource. Oil or coal, once used, cannot be used again. With good management, water can be used and wastewater can be treated and reused. With existing knowledge, technology and management practices, and efficient uses in all sectors, the country should have enough water to last over the next several decades, to meet all potential human needs. Take urban water management. There is not a single city in India which supplies water 24 hours a day, seven days a week, which can be drunk straight from the tap without health concerns. Thus, each Indian urban household has become a mini-water utility. They collect water in underground tanks when they receive water for a few hours each day, and then pump it to an overhead tank. This ensures they have 24-hour water supply. Then each household treats it so that it can be drunk. Some 10 years ago, households generally used simple filters for this, now the water quality is so poor that vast numbers of families are using reverse osmosis, a process that can desalinate sea water, for producing their own drinking water. Domestic water supply in India is either free or highly subsidised. However, the costs to households to ensure drinkable water are quite high. Utilities need to devise a viable financial model where only the poor pay highly targeted subsidised tariffs, and everyone else should pay the full costs of water and treating wastewater. Urban water supply management in nearly all Indian cities is very poor. Other Asian developing country cities, like Phnom Penh and Manila, have improved their water supply system immensely. Indian cities generally lose 40 to 50 per cent of all water pumped to the consumers because of leakages and bad management practices. In Phnom Penh, such losses are approximately 6-7 per cent. India may be an emerging economic giant but its urban water management practices lag significantly behind other smaller and less developed cities like Phnom Penh. In addition, nearly all water bodies within and near Indian urban centres are heavily polluted. According to the Central Pollution Control Board, nearly half of the country’s 445 rivers are too polluted with organic wastes and coliform bacteria for safe consumption. If other pollutants like nitrates, fluorides, hazardous chemicals and heavy metals are considered, water from even a single Indian river cannot be drunk without extensive treatments. Governments have wasted countless rupees to clean-up rivers like Ganga and Yamuna. And yet, as the Supreme Court has noted, even after such enormous expenditures, Ganga and Yamuna continue to be more polluted than ever, because of poor planning and management. India’s water problems are solvable, but they will require sustained political will, building strong water institutions, and ensuring public funds are used efficiently. The public must appreciate that they can only have good water services if they are willing to pay the costs through appropriate tariffs and taxes. There is simply no other alternative. Indian media needs to stress the economic, health and environmental benefits of functional water and wastewater services. Equally, they must hold politicians and bureaucrats accountable when they propound populist but unsustainable water policies, including free or highly subsidised water to households. Finally, water professionals must shift their focus from providing more and more water to ensuring it is used efficiently in all sectors. The emphasis has to move to effective demand management. Failing to address the challenges will most certainly mean an unprecedented water crisis within the next two decades. India must improve its existing poor water management policies and practices. It is doable, and the country simply has no other choice.